Joins us for a the opening of Lena Gustafson’s first show, titled Loud Body, at Park Life. Opening Reception 6 – 9pm. 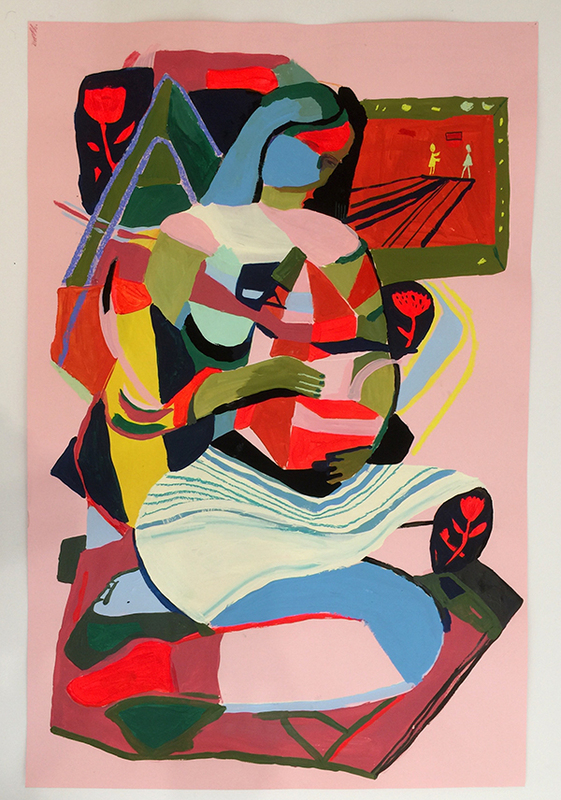 Lena’s recent work uses bright colors and large female figures at the center of each image. She uses repeated visual symbolism such as flags, water, plant life, color, and repeated gestures to communicate different stories within the body. Often times the line that separates the figure from her environment are blurred. Lena is a visual artist based in Oakland, CA. After graduating from the Art Institute of Boston at Lesley University in 2011, she cofounded Night Diver Press with her partner Peter Calderwood. Together they use silkscreen and other alternative printing techniques to create and publish multiples in the form of prints, books, zines, and monotypes. Lena’s recent paintings are technically informed by her background in preparing images for screen-prints.